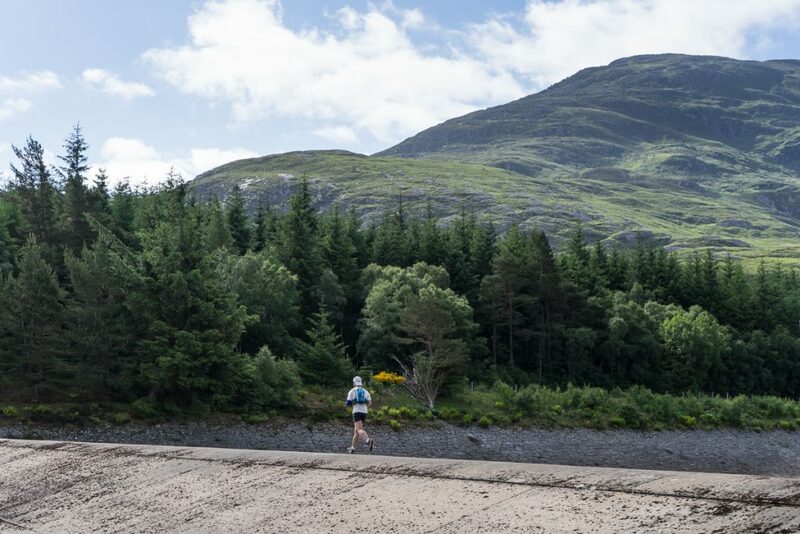 Cicerone's Joe Williams has just got back to the office after completing the running challenge of Charlie Ramsay's Round in Scotland this weekend. 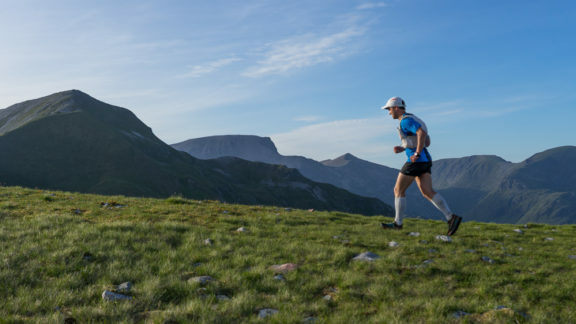 He ran the 95km (59 miles), 8,500m (28,000ft) ascent route in a time of 20 hours, 49 minutes, making it the 11th fastest time ever on the course. Joe ran the route solo, receiving support at only two points along the way. A little before the halfway mark, Joe met Jasmin Parris, heading the opposite direction, where a few hours later she obliterated the record for the round in just 16 hours and 13 minutes. Many thanks to David Lintern for the wonderful photos. Ok, this is the short story of how it went, but I'll go into all the gory details in my Cicerone Extra article in a couple of weeks. Here's the summary: it went well, then it didn't go well, then it went well again. So, what is Charlie Ramsay's Round? 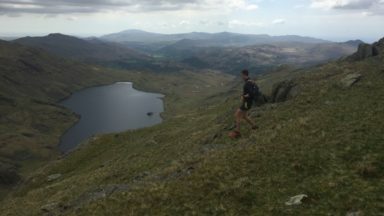 Well, it's one of the 'Big Three' classic mountain running challenges in the UK, the other two being the Bob Graham Round in the Lake District, England and the Paddy Buckley Round in Snowdonia, Wales. 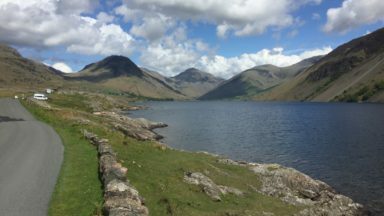 Although it is the shortest of the three, it is often regarded as the toughest, as it travels over some of the highest, rockiest and pathless mountains in Britain, climbing 24 peaks. The challenge was devised and first completed by Charlie Ramsay in 1978 in a time of 23 hours, 58 minutes; since then the aim is to complete the circuit of peaks, getting back to your starting point within 24 hours. 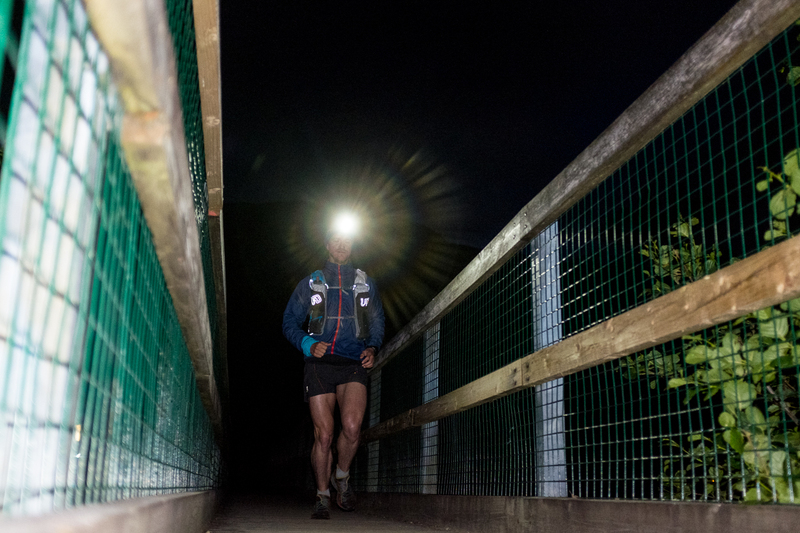 As of today, 92 people have completed the run in the required time. A little before 2am on Saturday 18 June, I was at the Glen Nevis Youth Hostel, making my final preparations for the run. 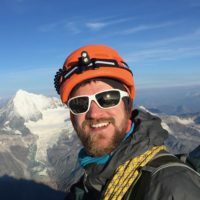 Although I would be running completely alone on the mountains for up to 24 hours, I would be meeting my parents, Jonathan and Lesley (and Cassie, our 'Head of Morale' dog) at two places along the way. They would resupply me with more food, give me fresh clothes and shoes to change into and look after me for 10 minutes or so. There to see me off at the start was David Lintern, Charlie Ramsay himself, his wife Mary, and my dad. It was very meaningful to have Charlie there to see me off on my run. His last words to me were almost cliché, but really rang home: "One step at a time." 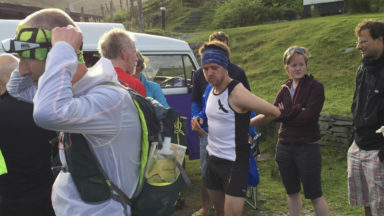 Unlike the small fanfare there was at the start of my Bob Graham last year, this time Ramsay's Round started with me just running across the road, over the bridge and up onto the path up Ben Nevis. 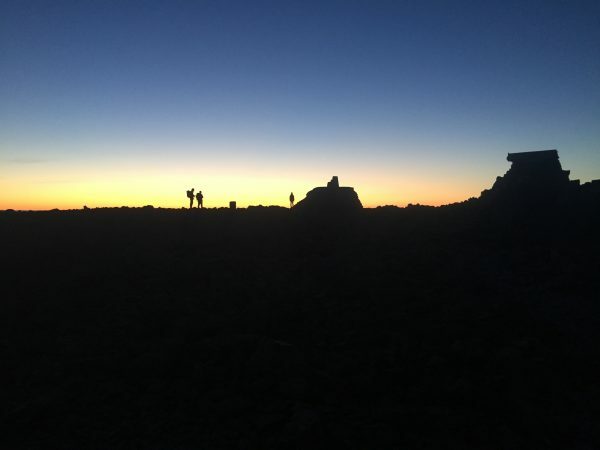 Starting with a 1300m climb in the dark was almost intimidating, especially knowing that I had so many thousands of metres more to climb, but I made a point throughout the day of only thinking about one summit at a time, repeating the next peak's name like a mantra throughout. After one hour and 27 minutes I touched the summit of the highest point in Britain after a purposeful but steady ascent. Thirty-three minutes later and I had reached the top of Carn Mor Dearg, having run the arete. This curving, beautiful ridge was run in the minutes of first light before a beautiful sunrise. The rest of Leg 1 took me to Fersit over the Aonachs, Grey Corries and Easians. The hour long slog up the latter hill was reduced by singing along to Ryan Adams' 1989 album, blaring from my phone's speakers. Nobody was there to be bothered by this; these remote hills were mine for the day. At the transition area, I was attended to masterfully by the support team. 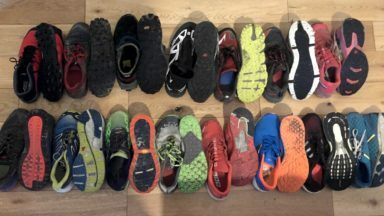 Within 10 minutes, I had eaten, had a tea, cleaned feet with fresh shoes and socks, new t-shirt, resupplied backpack and was ready to go again. Leg 2 was my rough patch. And it was about a four and a half hour long rough patch. 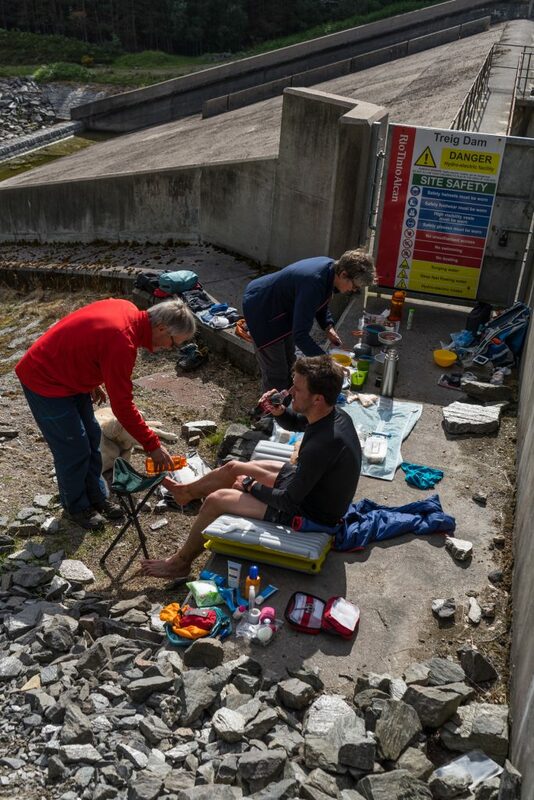 The solid foods I had with me weren't going down very well, but the only other things I had were a small bag of jelly babies and two gels. I tried to force in a ham and cheese sandwich, but it just sat in my mouth for a while before I spat it out. We might have some problems here, I thought. 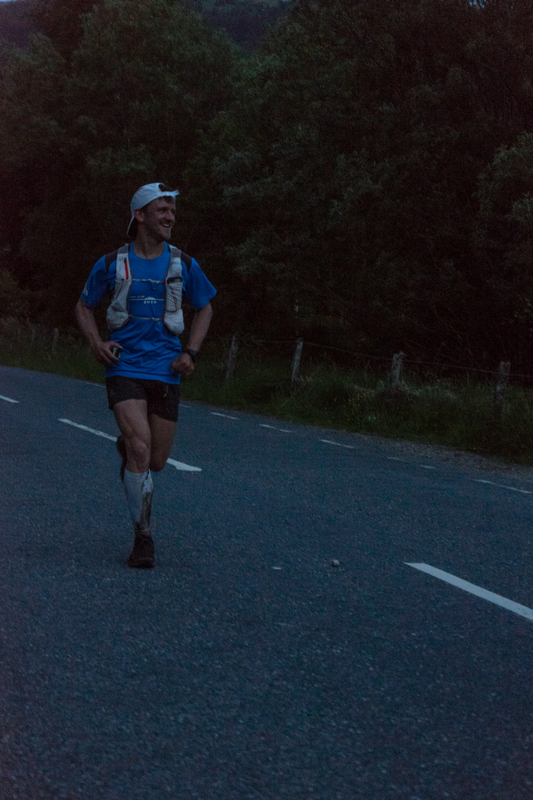 Just after my 12th summit, I passed Jasmin, who was moving fast in the opposite direction. I gave her a big wave, then a sweaty hug and kept going. 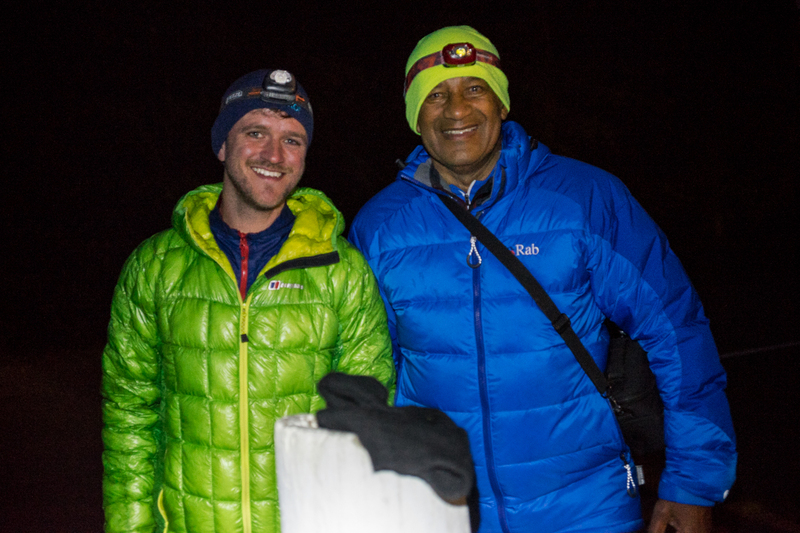 Charlie Ramsay has told us both to look out for each other around this point, but the thrill of meeting such an amazing athlete wore off almost immediately. The next hill was purgatory, and its descent just as bad. Charlie and his wife popped up again to cheer me on as I hit the 13km of track and trail to the next transition area, but again, this had little effect on me. Calorie intake was low and I was wilting in the afternoon heat. After nearly two hours of pathetic jogging, walking and occasional lying down in streams, I made it to the support point. This turnaround took 20 minutes; I needed every minute of recuperation time. I got my act together for the final section, slowly chipping away time, now fuelled by gels, carbohydrate drink and jelly babies. I got the call about Jasmin's record time, still with several hours left to go. On the final two hills I saw a chance to finish in under 21 hours. 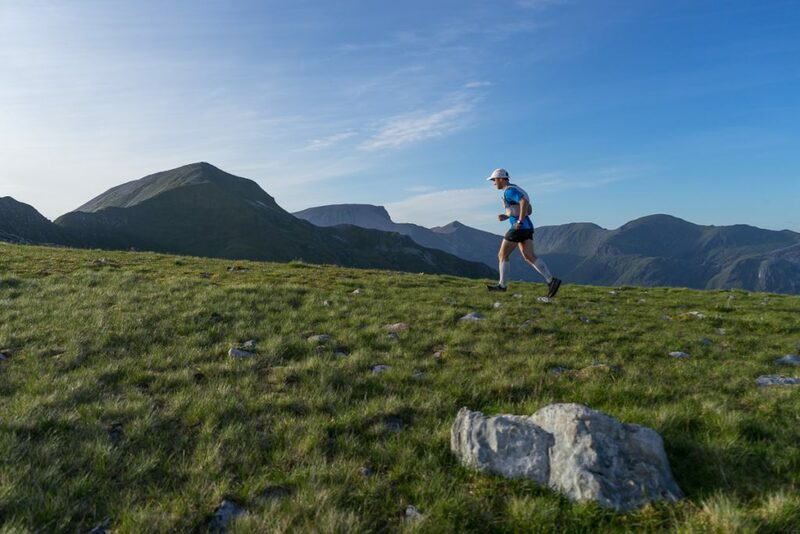 So on Stob Ban, I took off at a murderous pace, running almost every climb, hurdling boulders and lengthening my stride over the now thankfully grassy slopes. I tagged the final summit and didn't bother with the photo. The speed of the final descent began to hurt my quads, but I didn't have any more hills left to save them for now. The track and road felt blissful as I hammered back to the Youth Hostel. 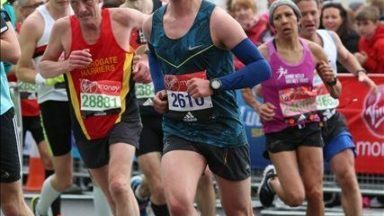 I whooped and yelled and smiled as I got back to my starting point: I had done Charlie Ramsay's Round! The final metres before the finish of Ramsay's Round!